Keep accurate records of all your work! Our Electrical Work Order / Invoice lists over 40 common electrical jobs for fast and easy write-ups. Pre-printed with your Company Heading, 3 Parts NCR with the last part a manila tag stock. Consecutively numbered for tracking. 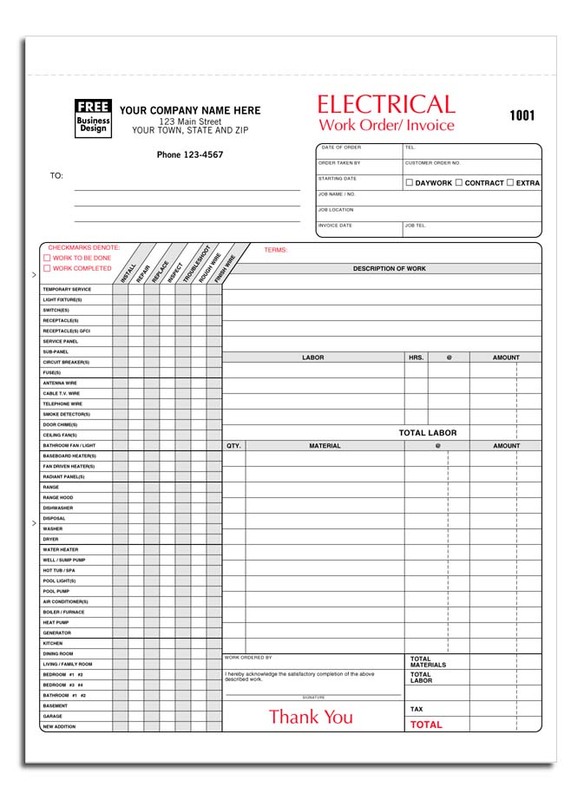 Please Fax the Heading information to be printed on the Electrical Work Order / Invoice to (973) 252-1885 and be sure to reference your order number.